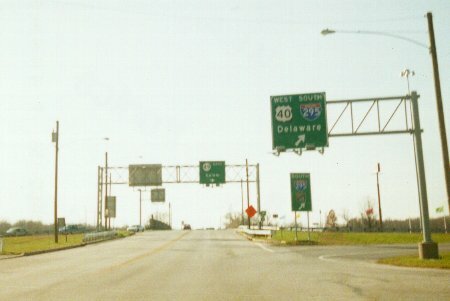 Looking south at where US 130 ends just east of the Delaware Memorial Bridge. 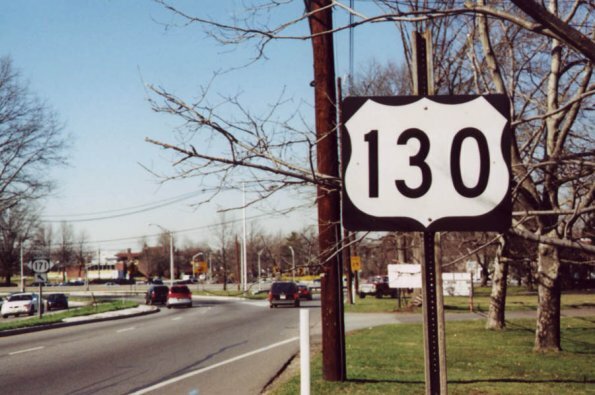 The road continues ahead as NJ 49. Photo by Adam Froehlig, taken late November, 1999. 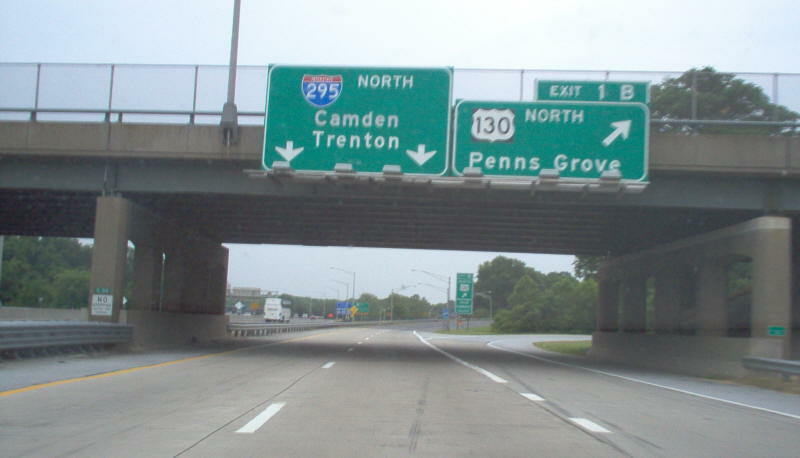 Exit signage from northbound I-295 to US 130. 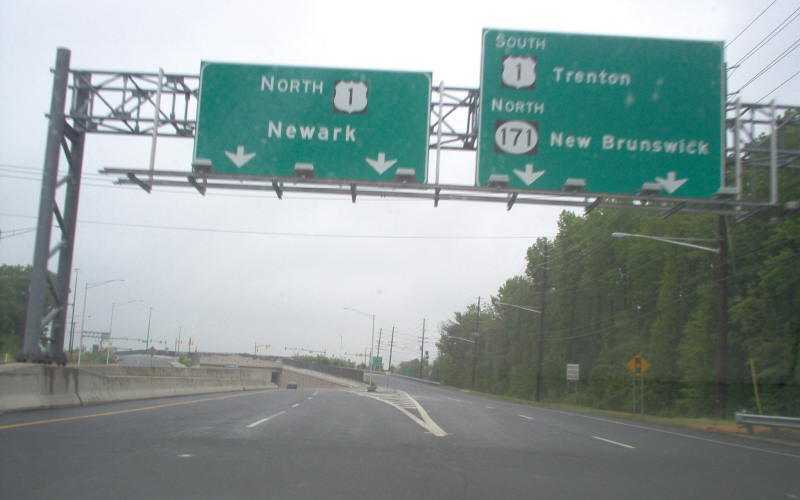 The New Jersey Turnpike begins in the background. Photo by Mike Roberson, taken June 24, 2006. These two photos show how things used to look at the northern terminus, prior to ca. 2001. 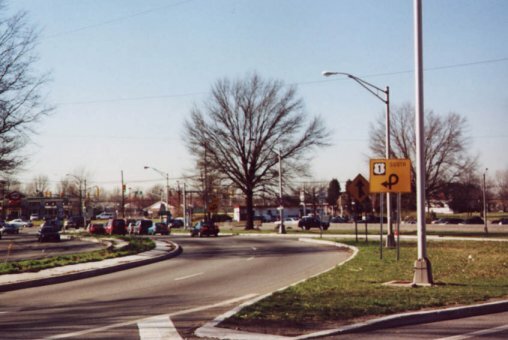 NJDOT has since built an interchange to replace the at-grade intersection shown here. Photos by Alex Nitzman. This is how the view looks now, with a direct ramp from northbound US 130 to northbound US 1. Mike says there was no end signage present. Photo by Mike Roberson, taken June 24, 2006.